cruising in general. If you have a question that isn't listed feel free to contact us for assistance. • I booked last minute. How do I get my cruise documents? • What is a guarantee-status accommodation? • What does starboard, port, bow, and aft mean? • How do I get from the airport to the ship? • Are alcoholic beverages included in the cruise price? • Will I be able to add another person into my room later on? • What are the benefits of booking cruise line airfare? • If I book cruise line airfare, can I choose my flights? • Why wasn't my credit card payment accepted? • How do I know when my final payment is due? • How do I make my final payment? • Is it safe for me to use my credit card online? • Can I book multiple staterooms at one time? • When will I get my cruise documents? • What is a shore excursion? • How can I purchase shore excursions? • Do I really need traveler's insurance? • How do I pay for onboard purchases? • Are there casinos onboard cruise ships? • Are there ATMs onboard the ship? • Is there a babysitting service onboard the ship? • What can I do if I get sick onboard the ship? • What is a alternative/specialty restaurant? • What can I do if I have special dietary needs? • Is there room service on the ship? • Can I exchange money onboard the ship? • Can I bring any guests onboard the ship before it leaves? • Will my room have a TV? • Is smoking allowed onboard the ship? • When should I arrive at the pier? • Do I need cash onboard the ship? • Can I park my car at the pier? • Can I check my e-mail while I'm onboard the ship? • What will happen if there is a hurricane during my cruise? I booked last minute. How do I get my cruise documents? It depends on the cruise line, and just how "last minute" your booking really is. Most cruise lines no longer issue paper documents, but rather issue eDocuments (which is very convenient, as you can print the documents from your own device). In rare circumstances, you may have to pick up your cruise documents while checking in at the pier on the day of the cruise - this is referred to as "pier-pickup." If that's what you need to do, all you'd need to bring with you (besides your luggage) is the necessary proof of identification that the cruise line requires. There are certain times when the cruise line will be able to have e-documents e-mailed to you, but this is at their discretion. What is a guarantee-status accommodation? This is when the cruise line offers a specially reduced price to you, with the guarantee that they will give you at least the category accommodations that you've purchased. Often times the cruise line may be able to upgrade you to a more premium category when you book a guarantee. 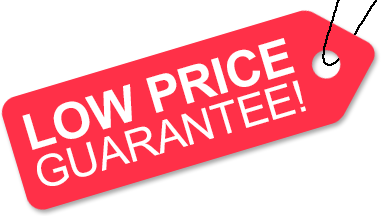 A guarantee is great for those looking to get more for their money, but is not good for those that are very particular about the exact location of their accommodations (since you'd have absolutely no control over that when you purchase a guarantee). What does starboard, port, bow, and aft mean? Starboard, port, bow, and aft are nautical terms that are used by cruise lines to describe the location of various onboard locations, such as the staterooms. Starboard refers to the right side of the ship, when facing forward. Port refers to the left side of the ship, when facing forward. Bow refers to the front of the ship. Aft refers to the rear the ship. There are a few options. One of the most popular options is to purchase ground transportation between the airport and ship, round trip, from the cruise line. If you'd like to purchase such transfers just let us know. Please be aware that the cruise line's transfers can get sold out, so we recommend that you purchase them as soon as you know that you want them. If you'd rather not purchase transfers through the cruise line, you can usually take a taxi on your own. Another option would be to arrange your own pre-arranged limo or car service to transport you, independent of the cruise line's transfer services. We can arrange non-cruise line transfers for you, if you'd prefer that option and don't want to do it on your own. Are alcoholic beverages included in the cruise price? Not usually. There are a few upscale cruise lines (such as Regent Seven Seas, Silversea Cruises, Crystal Cruises, and others) that do include select alcoholic beverages in the pricing of their cruises. However, most cruise lines do charge for alcoholic beverages (and for soda as well). Typically, water, tea, iced tea, and various juices are available at no additional charge. Will I be able to add another person into my room later on? Sometimes; it depends on the capacity of the stateroom you initially book into, and on the cruise line's regulations. Certain accommodations can only hold a certain amount of people. For example, if you initially make a booking with two people in your room and your room can only accommodate up to two people, you'd have to move to a different room to accommodate a third person (if such a room is even available at the point in time you start looking into this). Another factor is that cruise lines can come to a point that they no longer allow third, forth, or fifth passengers on a certain sailing (even if your room can accommodate that many people). This happens when the cruise line sees that a ship is selling out and is a way that they ensure that the legal capacity of people is booked into that specific sailing date. Finally, you have to keep in mind that pricing is "live" and might not be the same when you want to add another person. We recommend that you add additional passengers as soon as you know that they want to join you on the cruise. What are the benefits of booking cruise line airfare? A major benefit of booking cruise line airfare is that, usually, the cruise line will include free round trip ground transportation between the ship and pier (Princess Cruises is one of the cruise lines that does not offer free ground transfers with their air). Another benefit is that if you have a problem with your flight and miss the ship's initial departure, the cruise line will often times try to figure out a way to get you to meet the ship at a future port of call (this is not always the case though). If I book cruise line airfare, can I choose my flights? Sometimes. It depends on the cruise line. Some cruise lines require customers to pay what is known as an air deviation fee (also called a premium air fee) if they want to pick specific flights. By purchasing the standard cruise line airfare, the cruise line will schedule flights for you that would get you to and from the ship on time, based on the ship's arrival and departure times. However, there is a chance that you may have connections and that you may even be scheduled to take a flight that will arrive a day before the cruise starts or that will leave a day after the cruise ends (such schedules are not common, but they've happened). If you want to purchase your air through the cruise line and also want to be able to pick your exact flights you can do so by paying the air deviation fee, in addition to the price differential between the standard cruise line air and the custom air you pick. Most cruise lines have a custom air department that can book you the exact flights that you want. If you'd rather book air separate from the cruise line you can book air through our agency by calling us, toll free, at 1-866-214-7447. One of our flight specialists will be able to find the perfect air schedule for you. Just keep in mind that even with the perfect air schedule, the weather dictates all flights - that is why we heavily recommend that you purchase traveler's insurance (most of our clients do). Why wasn't my credit card payment accepted? • You might be entering the wrong credit card number and/or the wrong expiration date. • Are you entering the correct billing address? Have you moved recently and forgot that the card is listed under your old address? • Have you exceeded your daily charging limit? Call your credit card company to check. • Are you using a debit card? Many debit cards have relatively low daily charging limits. You may have to call your bank to authorize a larger charge. Your final payment due date will be listed on your invoice/confirmation that we e-mail, or mail, to you after your booking has been processed and your initial payment has been confirmed. If the cruise you're booking is close, you may be required to pay the full amount while booking (you'll be informed during the booking process whether a deposit or full payment is needed). There are a few ways to make your final payment. If you made your reservation on our web site, you can make additional paments on the web site (using the link provided to you in the automatically generated confirmation you received via email after making the reservation). You can e-mail us and let us know when, and how, you'd like to pay it (as long as it's before the due date listed on your invoice). If you do not receive a response from us after you e-mail us you should assume we did not get the e-mail and should contact us via phone. Your final payment can be made via any major credit card, cash (if you live near our corporate office), or a certified bank check. If you'd like to pay via bank check you must make sure that you send the check to us via certified mail and that we have it in our office by the due date listed on your invoice. All bank checks should be made out to American Discount Cruises Inc. If you'd like to pay over the phone with a credit card you can call our toll free number, 1-866-214-7447, to give your payment information. Your cruise is subject to immediate cancellation, with whatever penalties apply, if you do not pay your full balance due by the final payment due date listed on your invoice. If you have lost your invoice or somehow did not receive it please contact our office immediately so we can send you a new one and let you know when your balance is due. Absolutely, as long as you're using a web site that has the top of the line security features as we do. Our web site is protected by powerful Secure Sockets Layer (SSL) encryption technology. This state-of-the-art technology keeps all of the personal information you give us secure and safe by encrypting all of it before it's transmitted over the internet. You can shop confidently on our web site. Can I book multiple staterooms at one time? Unfortunately you cannot book more than one stateroom at one time. If you'd like to book more than one stateroom you have to book one at a time. It depends on the cruise line that you book with. As long as your booking is not a last-minute booking, the cruise lines usually send your documents to us (typically via e-mail) about two weeks prior to your departure date. Once we receive your documents we'll contact you (via phone or e-mail) and will let you know that we're sending them to you. Princess Cruises does not send paper tickets any longer (they will mail your luggage tags and shore excursion booklet to directly your home in a pre-cruise packet), and you must print your boarding passes and travel summary yourself from their web site. All you need to access your reservation online is your booking number with Princess (which will be listed on your invoice from us). We will provide you will detailed instructions once you book - it's very easy to do. Norwegian Cruise Line (NCL) also does not issue paper documents any longer. Like Princess, they issue e-docs only and mail you a pre-cruise packet that contains shore excursion information and luggage tags. Among the other cruise lines that issue e-docs are Carnival Cruise Lines, Holland America Line, Royal Caribbean, Azamara Cruises and Celebrity Cruises. If you book very close to the cruise departure date they do not send you the pre-cruise packet. If you need your travel documents sent earlier than the normal time range please let us know way ahead of time, to ensure that the necessary arrangements have been made to request that your tickets be expedited (which may cost you additional express fees). Internationally mailed tickets (out of the US) may be subject to a surcharge to mail the documents to you. In some cases, to avoid surcharges, we can arrange for your tickets to be waiting for you at the pier, at check-in. A shore excursion is an optional tour, show, activity, event, or trip available at an additional cost before, during, or after your cruise. Common examples of shore excursions are swimming with the dolphins, helicopter rides, beach parties, city tours, wine and/or chocolate tasting events, rainforest hikes, 4x4 off-roading adventures, party boat trips, fishing, and much more. How can I purchase shore excursions? Shore excursions can be purchased here, or by purchasing them on your own through the cruise line or through an independent tour operator. Do I really need traveler's insurance? Travel insurance could be the best purchase you ever make. One of the most common mistakes people make is thinking that their standard healthcare insurance will cover them while they're in international waters or international countries. Please verify this, as many of them DON'T. Plus, even if they did cover you for medical reasons (which they probably don't), they wouldn't cover you for cruise line penalties that result from you canceling for medical reasons - our policies do! Most people don't realize all of the benefits that traveler's insurance gives you. For example, if a closely related relative (that isn't even traveling with you) or a traveling companion gets sick and you must cancel your trip to be with them, traveler's insurance offers you coverage for this. Same goes for jury duty and natural disasters - traveler's insurance will cover you for that as well. We offer Travel Guard traveler's insurance on our web site. Why? Because Travel Guard is one of the top travel insurers in the world. Many other travel agencies and web sites offer policies that do not give you nearly the premium and comprehensive coverage levels that our policies do. If you want coverage for business-related reasons, we offer a premium policy featuring such coverage that will cover you for any business-related cancellations, for a minimal charge. We also offer a "cancel for any reason" policy upgrade that offers coverage of up to 70% of your trip cost (depending on your residency) if you cancel prior to 48 hours of your trip's departure. Such policy upgrades must be added within 21 days from your initial booking date. We also offer FREE coverage for children traveling with adults enrolled in our policy that they're related to. For full details on our travel insurance policies please view our web site's Travel Insurance page. This is only a brief description of the coverage(s) available. The Policy will contain reductions, limitations, exclusions and termination provisions. Coverage may not be available in all states. The purchase of travel insurance is not required in order to purchase any other product or service from the travel retailer. Onboard purchases are charged to your onboard expense account. At the end of the cruise you have the option to pay the balance due by cash or credit card. During the cruise you can pay the balance little by little on a daily basis, if you prefer to do that. Upon boarding the ship, at check-in, the cruise line will ask you for a credit card to have on record with them. If you do not have a credit card to use, or do not want to use one, they will ask you for a cash deposit (that varies based on the cruise line in question). Are there casinos onboard cruise ships? There are casinos on many cruise ships, but not all cruise ships. If this is a factor for you please check prior to booking a cruise on a particular ship. When there is a casino they are usually feature-filled; with slot machines, tables (poker, three card, Caribbean stud, blackjack, roulette, craps, and more), card tournaments, slot tournaments, and everything else a major casino would offer you. If you're going on a Hawaii cruise, don't expect a casino (they are prohibited on Hawaii cruises). Yes, there are ATMs onboard cruise ships; however, most charge a high usage fee. If you need cash while on the cruise it would be cheaper for you to use the ATMs while in port, or you can bring traveler's checks with you to cash onboard the ship. Is there a babysitting service onboard the ship? Most ships offer a babysitting service. Some ships offer a private babysitter that comes to your room, while others offer group babysitting in a special area of the ship. If this is a priority for you please check the details of the specific ship you're interested in prior to booking. What can I do if I get sick onboard the ship? All ships have doctors, and medical centers, to help those that get sick while onboard. If there is a very serious medical emergency, passengers can be airlifted off of the ship to the nearest land-based medical facility, or the ship can make an emergency detour to the nearest port. This is another reason to purchase traveler's insurance - if you don't have insurance you'll have to pay the costs involved in airlifting you off of the ship, and even the costs of seeing the ship's doctor for less serious reasons. Many people ask about seasickness. Seasickness is becoming less common among cruising, since the very large cruise ships used today have excellent stabilizers that really minimize swaying. However, if you do become seasick you can visit the ship's doctor or get some over-the-counter seasickness medicine from the ship's convenience store. What is an alternative/specialty restaurant? An alternative/specialty restaurant is an optional premium restaurant offered on a cruise ship that features a specialty cuisine of some kind (for example - Italian, Asian, steakhouse, Mexican, French, etc.). The ships have main dining rooms and buffets, where you can eat for free on a daily basis. However, the specialty restaurants are usually available at an additional fee, mostly ranging in cost from $15 to $35 per person. There are a few ships that offer a few of their alternative dining venues at no additional cost. What can I do if I have special dietary needs? You should ask us to let the cruise line know your specific needs. They usually offer low-sodium, kosher, and other specialty meals. Please make sure to let us know about such needs well in advance of your departure date, to ensure that everything is done in a timely fashion. Is there room service on the ship? Most, not all, ships have room service. Usually room service is available 24-hours (except the last night of the cruise). Most ships offer a large room service menu, of which many selections are available at no additional charge. Can I exchange money onboard the ship? Sometimes, it depends on the ship. Many people wait to exchange their money at a currency exchange center in a port of call. There are a good amount of ports where you do not have to exchange US currency, as it is accepted at many ports of call. Can I bring any guests onboard the ship before it leaves? No, unfortunately you can't. Due to strict security measures and customs laws, cruise lines do not allow non-booked guests onto the ship (or in the cruise terminal). You'll have to say your goodbyes prior to your entrance into the cruise terminal. All of the major cruise lines (Royal Caribbean, Celebrity Cruises, Princess Cruises, Norwegian Cruise Line, Carnival Cruise Lines, Holland America Line, Windstar Cruises, Disney Cruise Line, Oceania Cruises, etc.) have a TV in each stateroom. Most cruise ships have HDTVs in all staterooms, but you should verify that prior to booking a cruise if it's an important feature to you. For additional details about a specific ship or stateroom category please e-mail us. Ususally in select designated areas. Generally all staterooms, dining areas, and many public areas are non-smoking. When should I plan to arrive at the pier? We recommend that you arrive as early as possible, relative to the embarkation start time. If you arrive prior to the embarkation start time you'll just end up sitting there and waiting. Most ships stop their boarding process at about two hours prior to the ship's departure time, so make sure that you get there prior to that point in time. The embarkation start and end times, and the ship's departure time, will be listed on your cruise documents. We do suggest that you bring some cash with you. Some cruise lines require that you pay for casino gambling and/or tipping with cash only. Plus, you might end up needing cash while you're in a port of call. If you end up running out of cash and need more, there should be ATMs available on the ship (with a high processing fee) or in the ports of call. Can I park my car at the pier? Most ports offer parking at, or near, the cruise terminal. The parking is usually available at an additional cost. For more information please go to our Cruise Port Directions page or e-mail us. Can I check my e-mail while I'm onboard the ship? Most ships have Internet Cafes, where you can access the internet for a fee. Many ships have internet access from each stateroom (WiFi). Internet speeds are generally slower while at sea than you're probably used to on land. What will happen if there is a hurricane during my cruise? The ships have the technology to see way ahead of time when inclement weather is approaching. The ship can easily change its course to avoid the storm. Sometimes your itinerary may be altered, at the cruise line's discretion, to avoid such weather.